Sei Smith’s materials range from plexiglass to paint skins. Several of the multimedia pieces of Reflections 2 only exist if the viewer focuses a screen, momentarily, between herself and the canvas. Other works are more heavily dependent on visitor participation. New shadows, textures and colors are found as one moves around the work. The show unfolds like a treasure hunt. 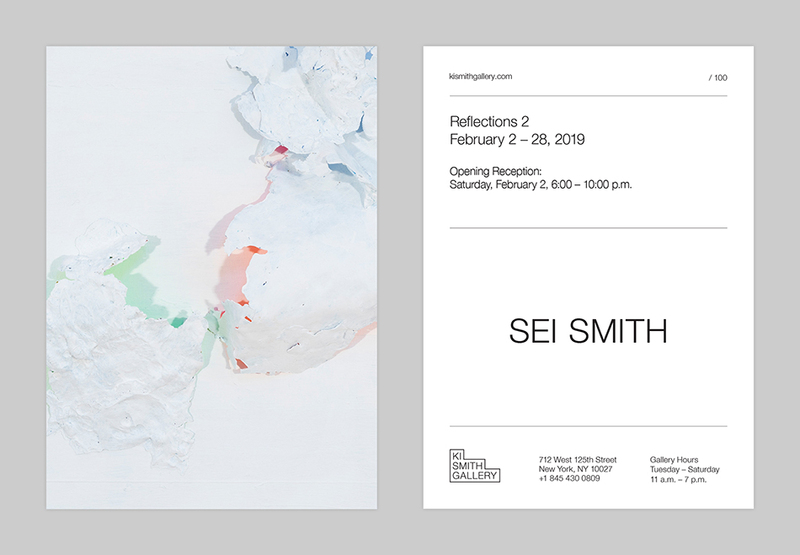 For Smith, Reflections 2 is an investigation of painting and how far that term of the medium can be stretched, bent and played with. Sei Smith (b. 1990, New York City) studied painting at The School of Art Institute of Chicago. He had his first solo exhibition in 2012 and has since shown both nationally and internationally. 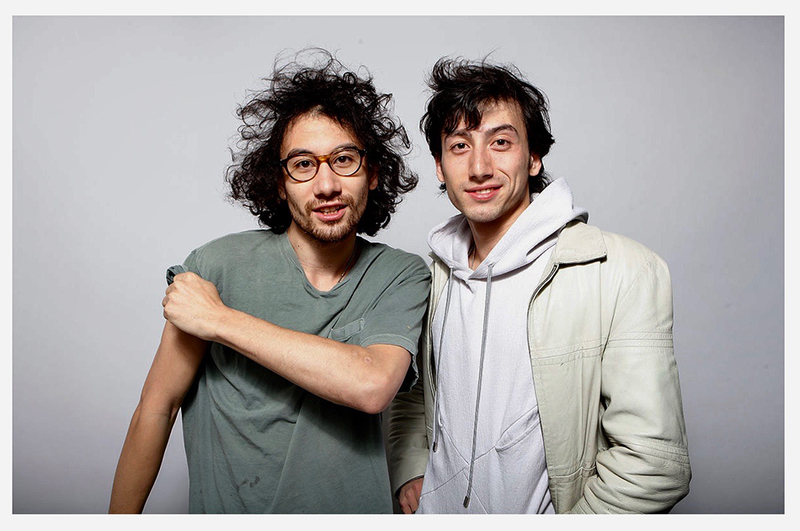 In 2012, Smith and his brother founded Apostrophe NYC, an art gallery/curation experiment. They notably staged guerrilla pop-ups in the stairwell of the Whitney, the courtyard at MoMa PS1 and a brooklyn subway station. Along with his art practice, Sei continues to curate shows/happenings in NYC. 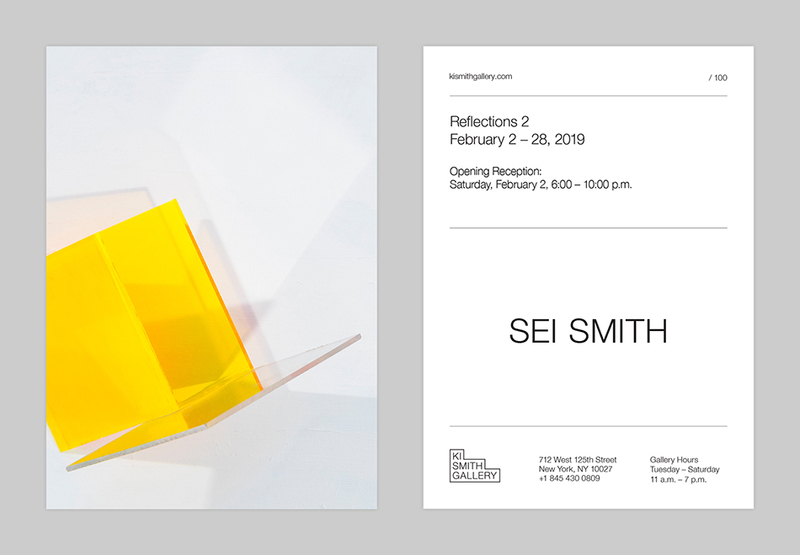 Sei Smith: Reflections 2 will be on view February 2, with an Opening Reception on that date from 6-10pm, as the inaugural exhibition for the Ki Smith Gallery, located at 712 West 125th Street, Harlem. Follow Ki Smith Gallery on Facebook and Instagram. While you’re there, check out The Wallach Art Gallery, just a block away, and Gavin Brown’s enterprise ~ not far from the Studio Museum in Harlem, currently closed for redesign, and not far from Faction Art Projects. Keep in touch with #UptownArtists at The Uptown Artists Group on Facebook.